SAS Results enables you to leverage SAS’ powerful analytic software to identify previously unknown patterns and trends in your data that could have an impact on your organization. SAS will run a secure, cloud-based service on your behalf, giving you the benefits of our most advanced software, operated by our own experts. Additionally, this service provides a foundation for definition and discovery of critical information that will help you know your customers better. 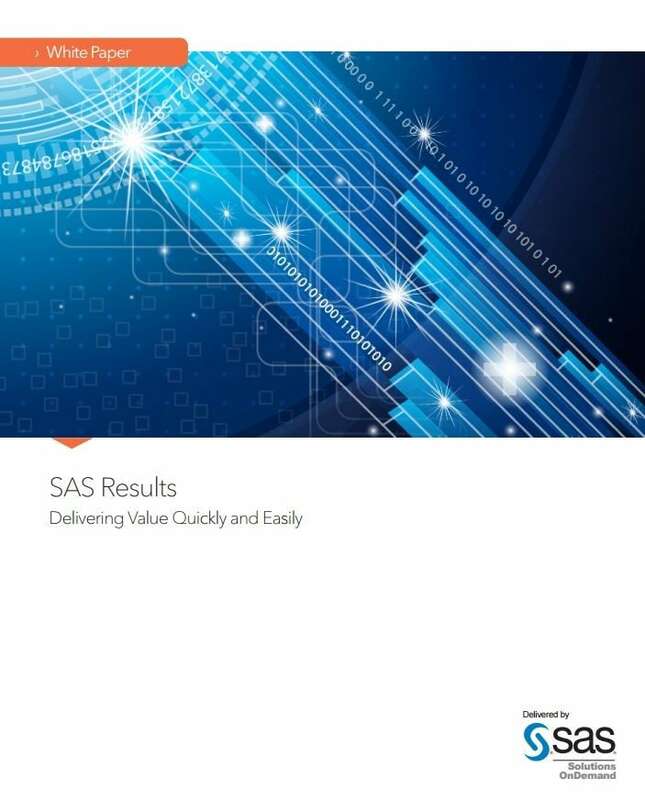 SAS Results + tackles the difficult business issues, often seen as “too hard right now”. Many organizations struggle to recruit and retain analytical talent. SAS Results + provides access to these highly skilled individuals. Organizations often face difficulty in getting the right blend of IT and business to deliver key projects. SAS Results + will provide rapid ROI.